Total official global gold holdings are reported to be 33,000 tonnes, or 19% of all the gold ever produced. But how can we believe these figures when no central bank has ever had a public audit of its gold holdings? Since the gold belongs to the people, they have the right to know if the gold actually exists, especially since gold reserves back the currency. 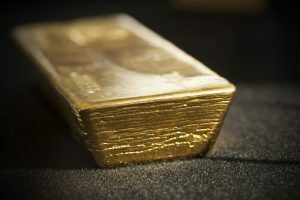 Up for discussion: Why is the US gold not audited; where is Fort Knox’s gold; Germany still holds 50% of its gold abroad; Silk Road nations are buying gold; the UK is a major gold exporter; the dollar collapse is beginning; and gold is on its way to new highs. In 2017 gold has outperformed the US stock market and rallied 12%. We will likely see a major gold rally in the fall on the way to a new high. So after a 6-year consolidation period, gold and silver will resume the uptrend that started in 2000. The rise of gold and silver in the next few years will not just be the reflection of the fall of all paper currencies. Major contributors to the rise will also be the failure of the paper market in the metals and the realisation that central banks possess much less physical gold than they have indicated. Physical gold and silver will continue to be the best way to preserve wealth during the coming destruction of all bubble assets such as stocks, bonds and property. But the opportunity to purchase gold and silver at reasonable prices is soon ending. There just won’t be enough gold to satisfy the coming demand.